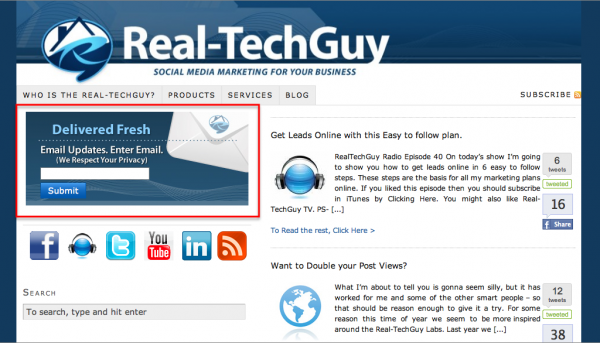 Improve your email opt in lists with these 3 easy tests. I’ve been getting a lot of requests to share some of the things I’m testing on this site, so today I’m going to share 3 tests I’m currently running to improve my email opt in lists. I have never been a big fan of popups, but when I’ve got my Internet Marketing friends swearing by a new tool, I have to check it out for myself. While these are less than stellar results, I think it may have something to do with my copy or offer. Either way it’s been just one week and I’ve added 25 people to my email opt in lists using it. 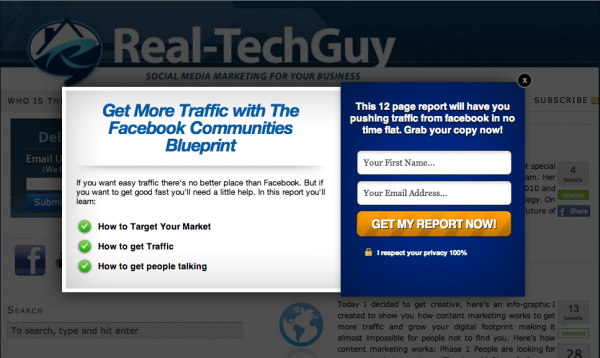 This tool is used by some of the top internet marketers in the world. Since it’s a little pricier, it took me a while to finally grab a copy to test. Right now I’m just scratching the surface of what it can do. Essentially, it allows you to add HTML code over any video. These results are much better than the exit popup, but I’m betting with a little work and a stronger call to action I can get this up in the double digits. I hope that I’ve given you some ideas on different ways to build your email opt in lists. If I had to choose just one of these tools I’d recommend using Aweber because you’ll have more options on where to put your opt in forms, not to mention they offer a free trial. Next step is to decide which tool you’re gonna use and then start testing different offers. Read this post on How to capture leads for some ideas on tests you can run on your WordPress site. PS- If this post was helpful, you’ll love what I have in store for you. Be the first to get the updates delivered straight to your inbox by subscribing to the feed. Just re-upped for aWeber after testing Mailchimp and a couple other tools. I, for one, don’t like interrupting people with crazy popups. But the sidebar thing for aWeber is way cool. I agree about pop-ups (I mentioned that in the post.) But what kind of marketer would I be if I just shrugged it off without testing it? Thanks for stopping in and taking the conversation further dude – I always like it when you drop in. Jon, I use both. A Pop-up and a slide up. Like you, I test/test/test and while some people say pop-ups are annoying, the fact of the matter is they do work! I use my InstantSlideUp 1/2 and 1/2. 1/2 for opt-ins and 1/2 for redirect to relevant sites that don’t build my list but provide value to my blog readers. I hate those pop up…makes me want to exit the site. I choose aweber. I didn’t like pop-ups either until I realized how well they work. In my opinion building your email list should be a primary goal in ANY digital marketing campaign. PS- That’s why i use an “Exit Pop-up” >> to get people when they’re leaving instead of interrupting their visit. The Pop-Ups might be annoying because it forces people to make a buy decision, when people generally want everything for free and without sharing their email addresses or phone numbers. When you are in the B2B category as I am, I can’t worry about who doesn’t opt in as much as I need to know who wants to opt in. I then focus my attention on following up in a way that encourages them to buy my services/products. It’s annoying when the giveaway is the same or it pops up more than once. Popups has been one of the absolute BEST passive lead capture strategies I’ve ever used. I’m not sure I’d classify a pop up as a buy decision – when you’re asking for en email address an not money. So Anige, are you for or against pop ups? That instaslideup looks cool – what kind of opt in rates are you getting with it? Not against pop-ups. I am against the over use of pop-ups. Getting an email address or a phone number is the first step in a buying decision. The money in online marketing is in the follow-up emails or calls. Free A,B,C,D is to validate you and earn the client’s trust.